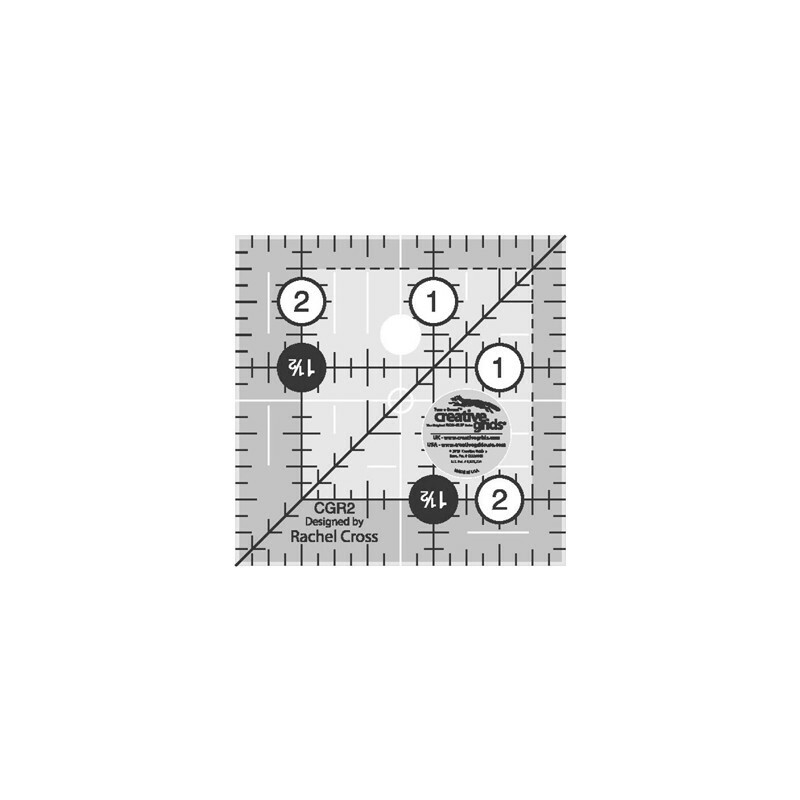 This 2 1/2″ square features easy-to-read black and white markings printed in 1″ grids marked in 1/8″ and 1/4″ increments. Use the easy-to-read, numerical black numbers (printed on white dots) and the 1/4″ grip sides to cut whole inches. These 1/4″ grip sides accentuate the dashed lines printed 1/4″ away from two adjoining edges to aid in trimming seam allowances. Use the patented Turn-A-Round feature – designated by the easy to read, numerical white numbers (printed on black dots) and the 1/2″ grip sides – to add the 1/2″ seam allowance. Our exclusive gripper holds the fabric while cutting when pressure is applied. A 45° angle is printed in black. 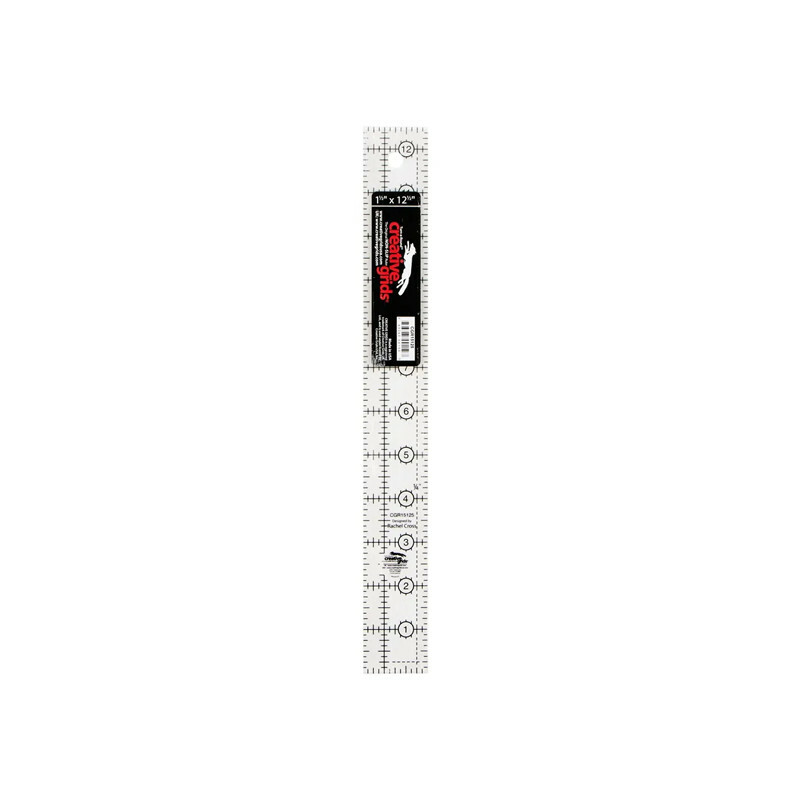 White horizontal and vertical lines are printed on the square so the center of the ruler is easily distinguishable.